Let the Mason County Growth Alliance be your partner in developing your business in Mason County. Below you will find local resources throughout our region. Let us help you navigate and coordinate your needs with each of the necessarily entities. Call today to meet with a MCGA representative to help simplify the process. Pure Michigan Business Connect (PMBC) is a multi-billion dollar public/private initiative, developed by the Michigan Economic Development Corporation (MEDC), connecting buyers to suppliers of Michigan goods and services. Pure Michigan Business Connect (PMBC) is a multi-billion dollar public/private initiative developed by the Michigan Economic Development Corporation (MEDC) connecting buyers to suppliers of Michigan goods and services. Michigan companies can sign up for free to access this premier business-to-business (B2B) network and be introduced to opportunities to expand their supply chain within the state and access Michigan service providers. Growing second-stage companies are also encouraged to explore PMBC and apply to the Economic Gardening® program, which offers powerful resources to launch companies into the next stage of growth at no additional cost to those who qualify. If you’re getting your new business off the ground or want to secure financing, investigate export options, or expand online using social media marketing, the SBDC can help you move forward with confidence. If you are getting your new business off the ground or want to secure financing, investigate export options, or expand online using social media marketing, the SBDC can help you move forward with confidence. If you’re getting your new business off the ground or want to secure financing, investigate export options, or expand online using social media marketing, the SBDC can help you move forward with confidence. A solid plan, up-to-date resources, and access to knowledgeable members of Michigan’s business community are invaluable resources for any business owner. The services are provided at no cost or at low cost to Michigan business owners and entrepreneurs. 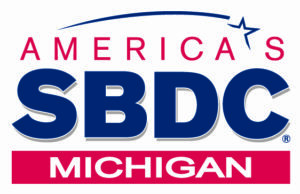 The Small Business Association of Michigan is the only statewide and state-based association that focuses solely on serving the needs of Michigan’s small business community. It has been successfully serving small businesses in all 83 counties of Michigan since 1969. The Small Business Association of Michigan is the only statewide and state-based association that focuses solely on serving the needs of Michigan’s small business community. They have been successfully serving small businesses in all 83 counties of Michigan since 1969. Their mission is to help Michigan small businesses succeed by promoting entrepreneurship, leveraging buying power and engaging in political advocacy. Their 25,000+ members are as diverse as Michigan’s economy, from accountants to appliance stores, manufacturers to medical, and restaurants to retailers. WSCC’s Business Opportunity Center’s goal is to collaborate with businesses throughout the area to provide innovative practices for business excellence. WSCC’s Business Opportunity Center’s goal is to collaborate with businesses throughout the area to provide innovative practices for business excellence. They work closely with business and industry to provide training to businesses desiring to strengthen their regional and economic competitiveness in a wide variety of job skill areas. Training – We develop training in customer specific areas for individuals or groups to help businesses maximize their productivity and profit. We provide training to individuals and companies to improve their general skills, technical skills, and professional knowledge. We are committed to maintaining and growing a quality workforce in our region. Economic Development – We partner with the regions economic development organizations to enhance the economic vitality of our community. Entrepreneurship – We are a gateway for entrepreneurs to find resources through a single entity, saving them time, frustration and start-up costs. Job Placement & Internships -WSCC works with students for both paid & unpaid internships, credit and non-credit internships. We work with the regional business community and WSCC faculty to match students to appropriate opportunities. Personal Enrichment – We provide courses to enrich your life through arts and crafts; and cultural and physical improvement. SCORE is a national, non-profit association dedicated to entrepreneur education and the formation, growth and success of small businesses. The SCORE Committee is made up of certified counselors, who work with entrepreneurs through every phase of their entrepreneurial venture: generating and assessing ideas, preparing a business plan, raising capital, and managing the operations and finances of the growing venture. SCORE is a national non-profit association dedicated to entrepreneur education and the formation, growth and success of small businesses. The SCORE Committee is made up of certified counselors who work with entrepreneurs through every phase of their entrepreneurial venture: generating and assessing ideas, preparing a business plan, raising capital, and managing the operations and finances of the growing venture. SCORE counselors maintain strict confidentiality for all counseling sessions and the service is free. Our local SCORE Chapter provides free and confidential small business mentoring and is located within the Ludington & Scottville Chamber of Commerce office in the Mason County Airport building. The Ludington & Scottville Area Chamber of Commerce was established to promote commerce, trade and industry in Mason County. It is the largest business organization in the greater Mason County region, with 450 member businesses and organizations. The Ludington & Scottville Area Chamber of Commerce was established to promote commerce, trade and industry in Mason County. It is the largest business organization in the greater Mason County region with 450 member businesses and organizations. Ludington and Scottville Area Chamber of Commerce is a recognized leader in the creation of an economically robust community. The mission of the Chamber is to promote economic growth and prosperity for its members and the community. At first glance, Emerge, now a part of Start Garden, is a regional web portal – a one-stop shop for entrepreneurs and businesses to access resources that will help them grow and succeed. At first glance, Emerge, now a part of Start Garden, is a regional web portal – a one-stop shop for entrepreneurs and businesses to access resources that will help them grow and succeed. The portal is a tool to search for the specific type of help you need to launch your business or grow your company. Think of Emerge as an ecosystem of engaged partners with the mission of fostering your business ideas and creativity. Count on them to connect you with the ideal combination of resources to help take your idea from conception to implementation. Emerge is here to guide you to success! 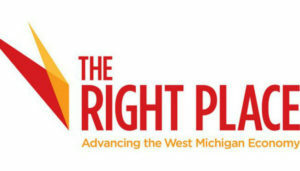 The Right Place has assisted thousands of companies throughout West Michigan, connecting them to a variety of assistance programs. The Right Place has assisted thousands of companies throughout West Michigan, connecting them to a variety of assistance programs. For many of them, that included assembling incentive packages to support more than $315 million in new investment, over 2,100 created and retained jobs, and more than $75 million in new payroll. – Location Services, including site selection as well as incentive and financial discovery access. – Manufacturing Assistance Services, including workforce training and certifications, business-to-business programs, leadership development and more. – Innovation Assistance Services, including university and technology transfer access and collaborative support, local, state, and federal government access and peer-to-peer learning. West Shore Inventors Network (W!N): Encourages and helps prepare local inventors and entrepreneurs to move forward with their innovative business ideas, or creatively expand their existing operations. West Shore Inventors Network (W!N): Encourage and help prepare local inventors and entrepreneurs to move forward with their innovative business ideas, or creatively expand their existing operations is the goal of W!N. W!N strives to provide timely guidance in the areas of intellectual property development and protection, business planning, financial assistance, and marketing strategy. W!N is a non-profit organization that provides these services at monthly meetings that are at no charge to members.